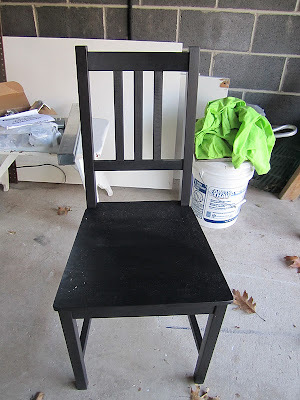 I had a ton (and by "ton" I mean 3/4 of a gallon) of navy blue paint left over from Big's dresser and desk project, so I was happy to use a little of it on the chair. 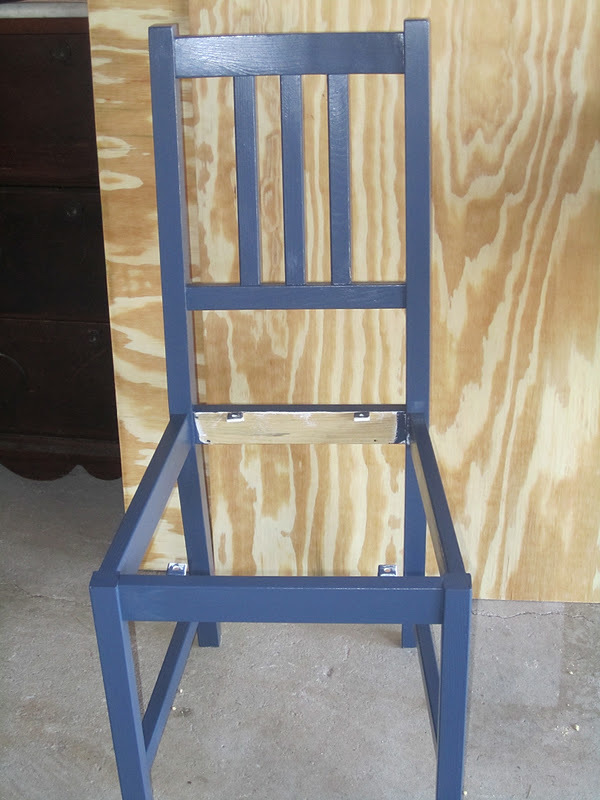 It was really simple: I just primed the chair and then painted it with three coats of the navy blue. 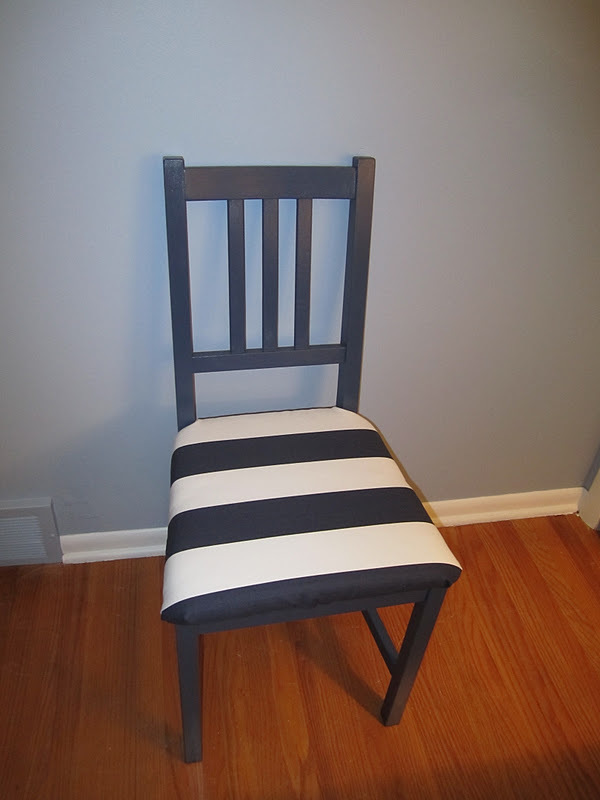 I decided to upholster the seat to break up all the blue, since his chair and desk were that same navy blue. I found this navy and white striped fabric at Fabric.com for about $7/yard. I wanted to customize the chair (and Little's too), so I just used some foam and batting leftover from my ottoman project from over the summer and covered the seat with the foam-batting-fabric. First, I placed my seats on the foam and traced them with a Sharpie. I labeled them just to be extra careful. I cut the foam and then used some spray adhesive to attach the foam to the seats. 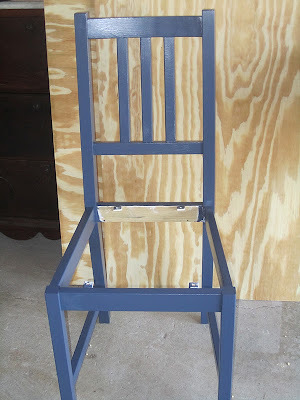 Once the glue dried, I placed the seats foam side down on some batting and cut that so there was enough to wrap around the seat bottom. Finally, I put the seat on the fabric and cut that to size. I stapled it all under the seat bottom and ... voila! 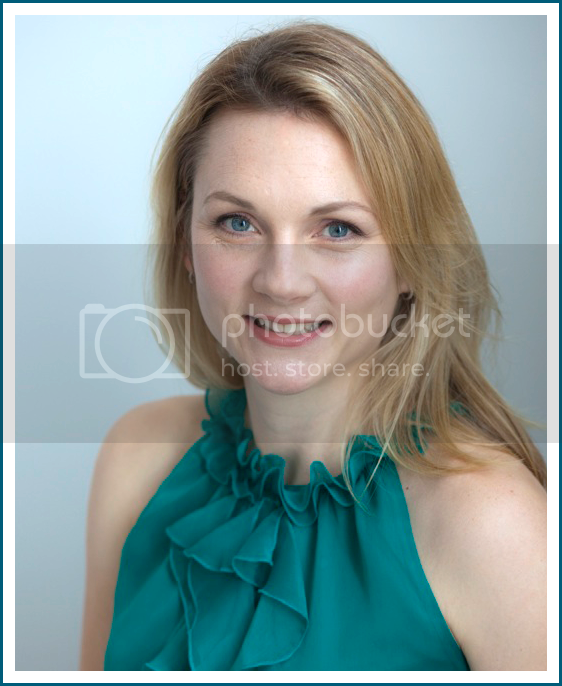 What do you think of the look? So that's three chairs transformed for hardly any coin. 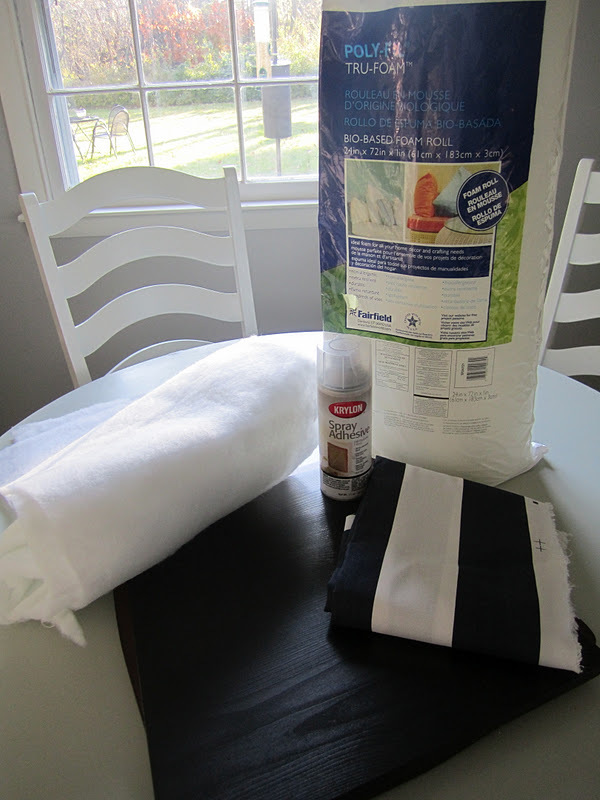 The total cost was about $100 for the three ($75 for two at Pottery Barn, $20 for the one at IKEA, $7 for fabric and the remaining supplies and paint and fabric I had on hand)! Not bad at all. i love this! i have the exact same chairs, i never thought of upholstering them! You are on a roll!!! I love this chair too and I think the fabric makes it!!! Love this too!! Thanks! He loves it too. 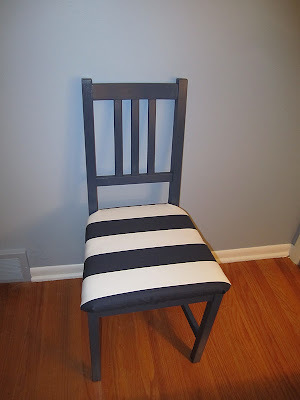 Nicole - it was sooo easy to upholster the seat. The trickiest part was getting the fabric around those notches in the back. The seat is much more comfy now with a cushy seat! 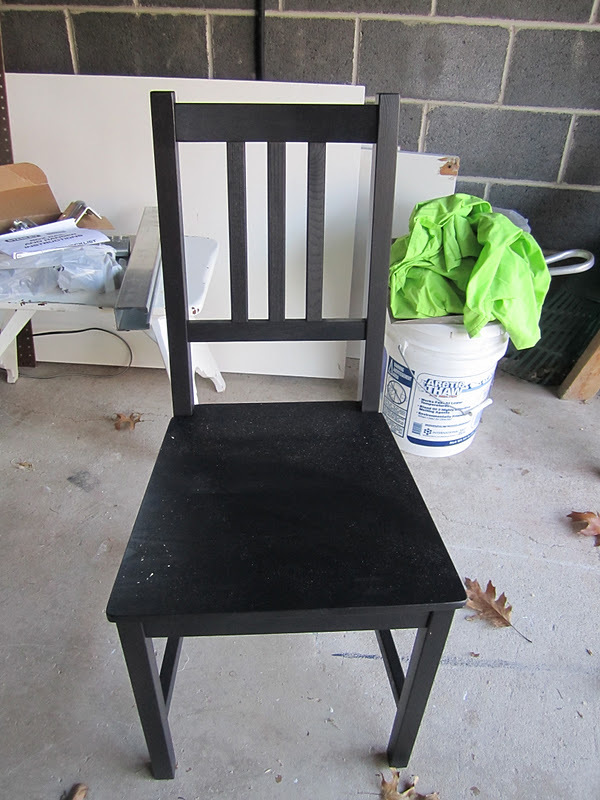 I cant get over how cute that chair came out!! love the fabric. thanks for your comment on Cote de Texas. 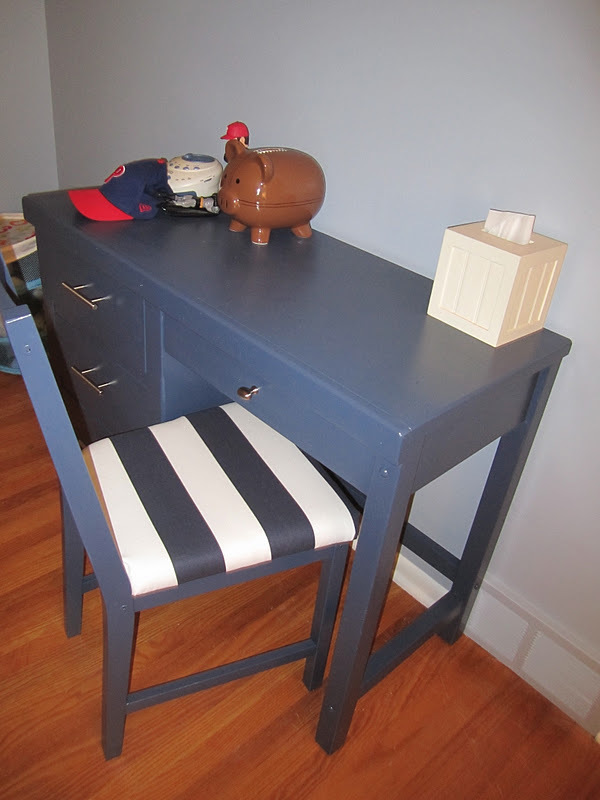 Looks great - love the navy and white stripes!